Join The Revolution this week as we rid ourselves of cabin fever and attempt to craft culinary masterpieces with the final odds and ends of wild game that are left in our freezers from last year’s harvests. Joining us will be Tiffany Lakosky of Crush with Lee & Tiffany on Outdoor Channel. Plus, Scott Leysath, “The Sporting Chef” and Brian Tucker with Hi Mountain Seasonings. It’s Man vs. Grill this week on The Revolution and it’s presented by Outdoor Channel, Sportsman Channel, World Fishing Network and MyOutdoorTV. While a lot of today’s cooking shows like to showcase super sophisticated and incredibly complicated dishes, there is something to be said for satisfying, simple food. Tiffany Lakosky, of Crush with Lee & Tiffany on Outdoor Channel, joins The Revolution this week with an inside look at just a few of her go-to wild game recipes, all of which can be found at Crush Kitchen. Using pantry staples, garden-fresh vegetables and an uncomplicated approach, Tiffany tells Jim and Trav that it all starts with a freezer fully stocked with wild game. From there, she cooks for her family, as well as last minute crowds, making delicious dishes like venison crockpot lasagna, venison meatball subs, crockpot elk or venison roast and so many more. Everyone has to eat, that’s a given. However, Tiffany tells Jim and Trav that she would rather be outside spending time with her family and shooting her bow, than to be in the kitchen. For that reason, these simple yet satisfying meals, that are showcased on Crush Kitchen, allow her to spend more time doing what she loves, and less time cooking and cleaning up. Don’t miss Tiffany Lakosky this week as she talks wild game cooking for everyone. We aren’t the only ones that are getting the itch to get outside and fire up the grill. With freezers full of wild game from successful fall hunting seasons, hunters are ready to grill, smoke and cook up their harvests. Scott Leysath is the host of The Sporting Chef and Dead Meat, both seen on Sportsman Channel, and the man is a wild game culinary guru! Tune in as Scott drops by to talk all things wild game cooking. Everyone wants a tender cut of meat and Scott will explain how aging your harvests helps achieve this goal. Then Scott dives into the do’s and don’ts of cooking. Tougher cuts like shoulders, hind quarters and neck roasts require a low and slow approach. For this reason, smoking is a great preparation for these cuts. It adds lots of flavor and the longer cook time helps achieve a more tender result. Scott says you just have to be mindful of time, temperature and the possibility of needing to add moisture through the smoking process. When it comes to grilling your wild game, backstraps and loins are great candidates for quick cooking on a sizzling hot grill. Scott tells Jim and Trav when cooked on a hot grill and sliced across the grain, these cuts should be very tender, and if not, there is a good chance they were not aged enough. Finally, Scott will talk about why you should let your meat rest after cooking. Tune in for the entire, educational, two-part interview with Scott Leysath this week on The Revolution. For more than 20 years, Hi Mountain Seasonings has been creating high quality jerky, meat processing products and seasonings. As a result, hunters, home cooks and foodies across the country, have been able to create fabulous jerky, sausage, smoked meats and more, with ease. Brian Tucker, National Sales Manager for Hi Mountain Seasonings joins The Revolution this week with a look at some exciting new offerings. Two years in the making, Hi Mountain Seasonings is now offering beef jerky. Made with 100% USDA beef at their headquarters in Riverton, Wyoming – Brian tells Jim and Trav that they are now offering four of their most popular jerky flavors. He’ll also talk about the DIY jerky making process and says it takes a little practice to achieve the end product you want and like. He’ll discuss their in-depth instructions to take the guess work out of jerky preparation and explains the different variables you may encounter while perfecting your process. In addition to exciting new jerky offerings, Brian will also dish on their new Prime Rib Rub and the expansion of their Bacon Seasoning line. 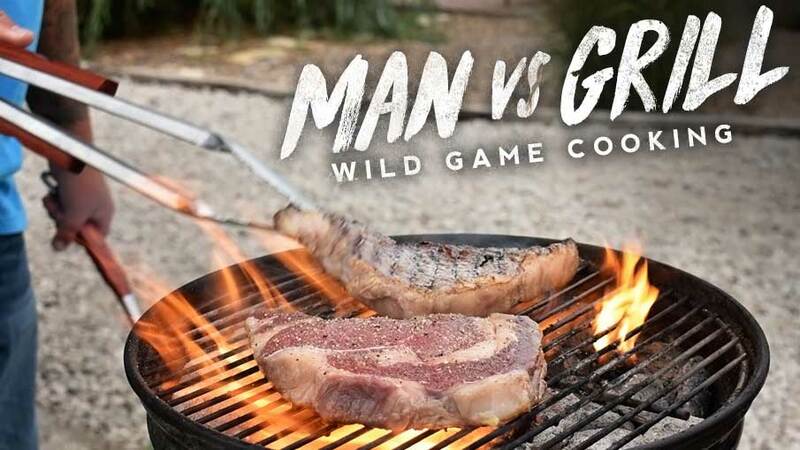 Tune in as we talk about seasonings that will take your wild game to the next level in flavor!